Use Old Navy Online Code THANKS and get 30% off your purchase. This offer excludes HOT Deals and Everyday Steals. Offer ends 3/23. 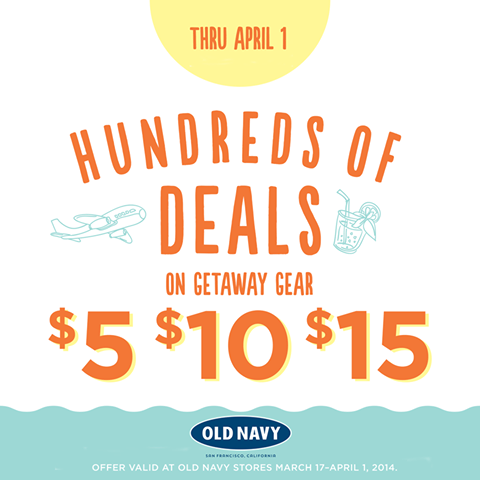 Go here to find updated Old Navy Sales, Coupons and Deals.